Travel insurance: Who pays more on insurance? How much does travel insurance really cost? How does the cost of travel insurance differ by age? 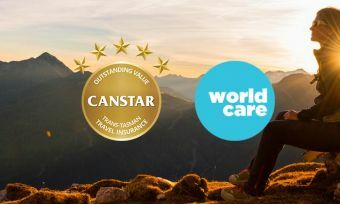 Read Canstar’s latest star ratings for travel insurance in NZ. Well let’s face it – in general, with the New Zealand dollar having fallen, our lower exchange rates are making it more expensive to travel. But don’t let that stop you! What does travel insurance really cost? And who pays the most for their insurance? Is it students or retirees, or maybe families with growing tweens? Canstar rates travel insurance for a few different profiles of traveller: singles, couples, and a family with two children. The table below shows how much you can expect to pay depending on who is travelling, how old they are, and where they’re going. Some insurance providers will also only cover travellers up to different maximum ages. 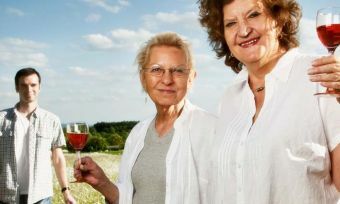 If you’re an older traveller of 60 or above, the first thing you need to check in a product disclosure statement (PDS) is what maximum age is covered for travellers. Our research shows a Comprehensive policy is likely to cover you to an older age than a Basic or Essential policy. Why doesn’t everyone pay the same? Where you go: The country you’re travelling to changes the amount your travel insurance will cost because each country has a different level of risk for various events happening. This doesn’t apply for domestic travel insurance. Type of travel: The type of trip you are taking will involve different levels of risk if you’re flying versus taking a cruise. Length of trip: The longer you are away, the higher the insurance cost (generally). How you play: The activities you will be participating in while away can affect the risk level. Risky or otherwise dangerous activities can be either excluded from your travel insurance policy or covered for an increased cost. Pre-existing medical conditions: If you have a health condition that may affect you while you’re away, and that condition is included within your travel insurance policy, then your insurance may be more expensive to reflect that risk. Optional extra cover you choose: The usual examples are if you want to be covered for skiing, water sports, or extreme sports like rock climbing. Other examples include cover for continuing to house your pet in a boarding kennel if your return is delayed. But why should age matter? It basically comes down to health reasons. Different health conditions may affect a traveller depending on how old they are. For example, asthma is one health condition that is typically more common among younger travellers. Meanwhile, there are many health conditions that are more common for older travellers, such as pre-existing medical conditions, heart problems, cancer, and diabetes. But am I covered to the same level? Be reassured: regardless of your age, if you are covered for an event then you will be covered for that event to the same level as someone of any other age. If you’re young, you might be paying less but you won’t be covered for less. For example, overseas hospital expenses might be covered up to $2,000 for singles, and $4,000 for couples or families, and this level of cover is not age dependent. 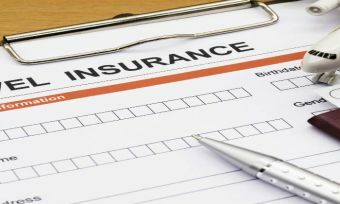 It’s important to note though that many pre-existing medical conditions may be excluded from your insurance policy. As you age you are likely to have a greater number of pre-existing conditions. Hence it’s important to read your policy document carefully to ensure that you know what you’re covered for. What does change the level of benefits and cover you receive is the type of policy you choose. There are a range of options from Essentials Only policies to Basic policies and then Comprehensive policies. While these types of policies typically have a range of covered events in common, Comprehensive policies often cover more things and they cover these things to a higher level of benefit. You should always check that a policy will cover what you may need. No matter what you’re paying for your travel insurance, the key is that you ensure you’re covered. We’ve taken the stress out of searching for the most comprehensive policy by researching and rating travel insurance for you. Find out who provides outstanding value travel insurance for New Zealand travellers overseas with Canstar’s 2016 star ratings.